Thankful to Boston Airport Cab Ma for the timely service. We have a few car service providers here and not many want to provide service at odd hours. But these people accepted our booking and drove us to Logan airport right on time for our flight to Frankfurt, Germany. Good job guys. I looked for a taxi company with child seats and more luggage space at Boston Airport and finally selected them. I was a little skeptical in the begining but they made things super easy. Thanks you folks. The luxury toyota minivan was super comfy and handled all our luggage. Get more space for people and luggage. Book a Minivan Taxicab that seats upto 7 people and carries up to 5 bags. If you need a more comfortable ride with more legs space and safety features for long distance rides we are available. We offer Child seats (Infant, Regular, Booster) are most affordable rates to ensure the safety of your baby. 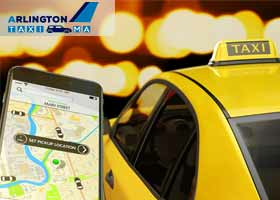 Boston Logan Airport Taxi , We Offer Affordable Low Cost Boston Airport Taxi, Boston Airport shuttle, Boston Taxi, We also provide long distance and door to door service. 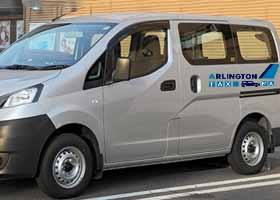 We also provide comfortable minivan taxi with child seats/infant seats at a nominal charge. Acton ma, Arlington Ma, Belmont Ma, Bedford Ma,Cambridge Ma, Concord Ma, Somerville Ma, Medford Ma, melrose ma, Wakefield ma, Boston Ma, Lexington Ma, waltham ma , Stoneham ma, Brookline ma, Burlington ma, Woburn Ma , Winchester Ma , Lincoln Ma, Reading ma , North reading ma,the Boston-metropolitan area with professional and expert airport transfers, door-to-door service, and long-distance service. Our comprehensive fleet of cars, minivans, and some SUVs safely and promptly bring you to your destination in Boston, MA. Our services are enjoyed by many tourists and locals alike. We offer our airport transfer services at Logan international Airport and many domestic airports in MA. With our airport transfer services you will never miss a flight or get late to any meeting. Our experienced chauffeurs know every route of Boston city and make sure your journey is comfortable with us. 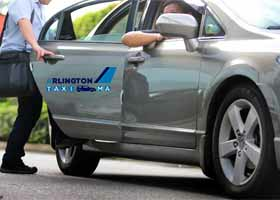 We are the prime choice for taxi needs of many tourists who visit Boston city on a business tour or family vacations. Boston Airport shuttle and taxi cab also offers one way transfer to Boston airport to down town or from downtown to Boston Airport. Our services are available 24 hours a day and seven days a week. You can simply book our taxi services by adding your personal details and journey schedule to our booking form available online. Our fare calculator has transparent work tendency and there are no hidden charges with it. Boston Logan Airport shuttle and Taxi Service, brings you unmatched quality and excellent support service. We are concerned with comfort and safety of our passengers. With many years of working in the industry, we have gained much experience and are utilising our skills to bring excellence in our services. On-time pick-up, comfortable and safe rides, smart navigation of road conditions to drive you to the airport right on time.